Creating and managing a startup is a step closer to materializing the valuable vision that motivates its founder to enter the entrepreneurial landscape. Since startups need to focus on its specialized competencies – and to achieve results – it must, at all cost, shy away from doing routine and repetitive tasks at hand. At an early stage of a startup, a founder’s motivation should be in ensuring that its customer base grow exponentially in order to make a profitable business. 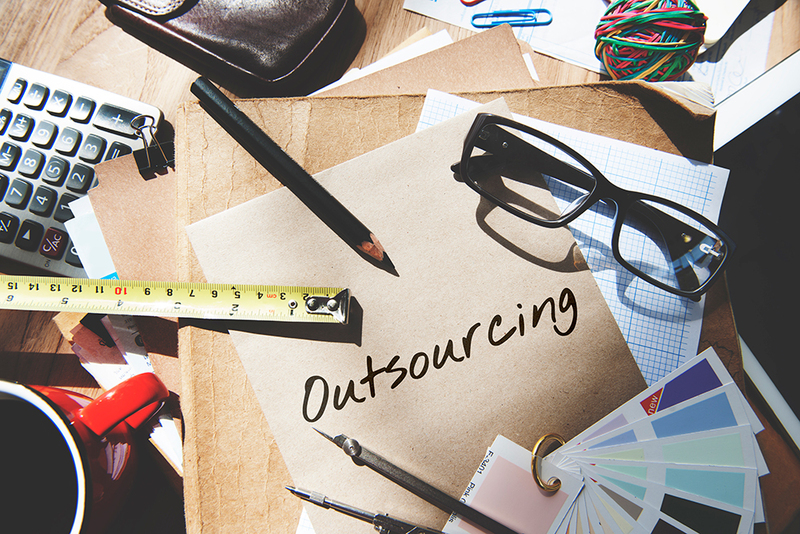 It is in this light that small to mid-size companies are seeing the importance and benefits of outsourcing. Any small and growing company that focuses its energy and resources in minding their core competencies see strong growth and their potential realized. The nature of startup companies vary therefore their capabilities and specialization are organically different from one another. Multitasking at this stage is a bad idea as this would cause the company to deviate from its focus. Unfocused operation could lead to more drastic results. However, some startup tasks should be outsourced, particularly when the tasks are not within the range of company’s specialization. Although this specific function is considered integral to the generic structure of any existing company, small companies are short in budget and cannot afford to have an HR personnel, and more broadly, a whole department dedicated to HR at this stage. There are outsourcing firms that offer their assistance as regards to human resource management. Startup companies can save time and effort by outsourcing the processes involved in recruiting, hiring, and training personnel. Offshore companies that specialise in human resource works can provide a better job in relation to employment process than what you can do especially if the nature of your business is nowhere related to human resources. Several prominent companies are known for employing third party agencies to perform their accounting tasks in order to prevent technical problems, avoid legal issues, and delays in paying payroll of personnel due to various unavoidable factors. Outsourcing accounting and bookkeeping roles, either by hiring a remote accountant or sending out a particular accounting job to an offshore firm, can prove to be less costly and efficient than approaching an established and large auditing firms. Processing tax is always time consuming and a starting company should not be burdened by the troubles involved in the tax process. It is highly advisable for startups to outsource this function. CFO service and bookkeeping can also be included in this outsourced function. If the nature of your business is nowhere related to digital marketing, you are not expected to ace this function. You may know how to use social media but there are skilled workers out there who have the specialization and ken in handing digital platforms for marketing purpose, and getting their service is just rightful. Digital marketing involves complex and varied types of work from content ideation, producing graphics, creating videos, and community engagement. These days, companies must have online presence and this means having a website and social media counterparts to reach a massive population of internet users. A startup company can benefit from outsourcing to a remote worker or outsourcing firms to handle their social media presence and strategies. There are skilled web designers, social media managers, proficient copywriters, and professional bloggers who can be contracted when creating your own virtual social media team to handle these functions. The legal function does not need to be a full-blown department within the company. It just needs one or two legal consultants who can process the legal aspects of the company and provide consulting services on legal matters that the company might encounter from time time. By outsourcing to an outsourcing company, you can focus on your startup’s core competencies in producing and distributing your products or services. By getting the service of a BPO company or a virtual worker, a startup can delegate non-core projects. When you are able to concentrate on the more complex aspect of management, strategic planning and execution concerning core products/service, you can achieve your growth targets, which are essential when you have a roadmap set for your startup before trying another business strategy. A startup with smaller budget can benefit from freelancers but not as much from hiring an outsourcing company. The advantages a startup company can derive from the different outsourcing options vary. When you are starting up, you can save from employing a full time remote staff than a local employee who will charge you a standard wage based on the labor laws of your country. One of the disadvantages to consider when you hire an independent contractor include delays and sometimes unresponsive virtual staff. A much safer option is to look for a reputable outsourcing company to hire, which will select and choose the best staff not only based on their credentials, but also on other factors like trust, loyalty, and character..
Online home-based job platforms that gather a pool of skilled and diverse freelancers like Upwork and Freelancer.com usually work for some startups because of the cost that is cheaper and the duration of the contract is short-lived, which is quite relevant for some projects with expiration. However, startups must operate nimbly and produce or ship their products or services faster. They will also need staff who can deliver flawless works and projects without spending too long a time to complete a task. An outsourcing company in this regard can be a better option since there is a contract between the two parties – the outsourcing company and the startup – to ensure that their transaction will be mutually beneficial for both. While it may be a little costly to hire an outsourcing company, however, it is a win-win for startup since they are informed well about the arrangement with the hires. Also, outsourcing companies usually impose policies to lessen the troubles associated with hiring individual freelancers. There is high quality of work that sometimes goes beyond expectations when you hire an outsourcing company simply because their interest is to protect their reputation at all cost. They can be trusted in hiring personnel to work for your startup since they will ensure that the ones they will select are not only skilled but also efficient in producing or performing high quality works. Virtual outsourcing companies with good industry standing are able to attract high-value talent with impressive portfolio and work history. These offshore companies can easily find competent and highly-skilled virtual talent who can perform better than the ones startups might employ full time locally and still need further training. While outsourcing any of your startup function can be done by a third party outsourcing firm, your startup must still have a hand in managing the outsourcing works. Startups should still hold control of the critical functions involved in the operations, particularly with quality control. Also, it is important for startup companies to identify carefully what business functions they will outsource and which functions to keep inhouse. Getting the service of outsourcing agencies – be it a large scale company or a freelancer – is a smart move to consider in establishing the startup’s brand. However, it is important to know how to select a competent outsourcing company. When you hire a competent and efficient outsourcing firm, you can expect it to deliver results at a lower cost than hiring an individual freelance worker. Startup companies can choose a specialized outsourcing company like Big Outsource in the Philippines, whose solid reputation in the business process outsourcing industry has been nothing short of stellar. The company has been serving small to large-range enterprises in the United States, Middle East, Asia and Australia. today generation, we can do outsource in any field. apart of this, we can outsource also software, web design, development and etc.